Do you have a “Happy Place”? For me, it’s my garden. For many of you, it is Natureworks! This week, all I can say is that the garden center is just BEAUTIFUL. So much is in flower, the weather is gorgeous, and folks are smiling and happy when they hang out here. Over the weekend I worked constantly in my own yard and it gave me such a sense of peace. I planted more tomatoes and herbs, continued to plant up my containers, cleared an area for a cutting garden and added snapdragons to get the ball rolling, and pruned like a madwoman. 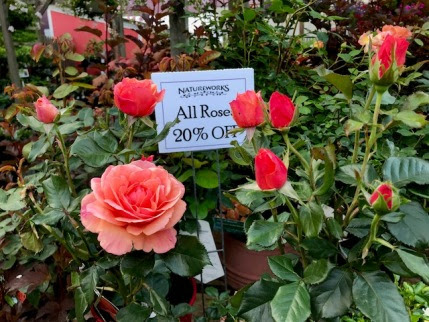 Yes, we are having a rose sale for one more week and they are in bloom and gorgeous! The time for pruning your spring blooming shrubs is NOW. On Sunday, I attacked a giant lilac that had fallen over and was buried under snow for a few weeks last winter. It was time. I feel like I am being enclosed by my plants- everything has grown to gigantic proportions in the past few years. The pruning will continue all month for me as I only have Sundays to get this work done. This Thursday evening and this Saturday morning I will be leading a free garden walk called The June Prune. I will explain how to prune plants like rhododendrons, azaleas, lilacs, bridal wreath spireas, fragrant Viburnums, andromedas, and so much more. This is our most popular walk of the year so get here early to get a good seat in our teaching tent. I will demonstrate how to sharpen your tools first and I will discuss the importance of investing in high quality pruning tools to make your life easier. 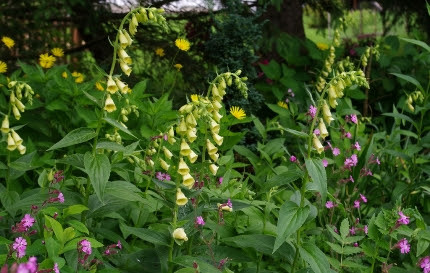 My Digitalis grandiflora (a form of perennial foxglove) has naturalized in a partially shaded border in my yard. 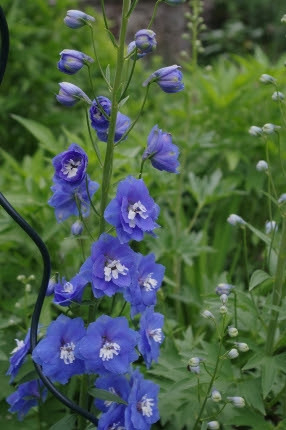 I planted this Delphinium last fall and look at it today. What a wonderful cut flower! Thursday evening, tune into Facebook Livewhen I will introduce you to some of my favorite cutting flowers for June. 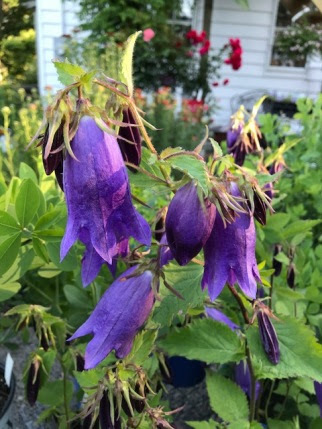 Learn which perennials and annuals you can plant to assure color now and (in the case of annuals) for the rest of the summer. I am still planting seeds of zinnias and sunflowers- they leap up out of the ground at this time of year. Do you know about love-in-a-mist? Nigella is such a pretty annual that self-sows easily. It is good as a cut flower and the pods can be dried for fall wreaths and arrangements. I am also madly in love with the foxgloves in my yard right now. I have tons of self-sown yellow perennial foxgloves (Digitalis grandiflora) and magnificent stands of Digitalis ‘Polka Dot Polly’. The Polka Dot series is really a great perennial with pretty pink or coral flowers. Most folks grow biennial foxgloves. If so, remember to add baby plants and seeds so you have enough for them to readily self-sow for you. Another fabulous genus of cut flowers is yarrow (Achillea). The yellow ‘Coronation Gold’ and ‘Moonshine’ varieties also dry well. 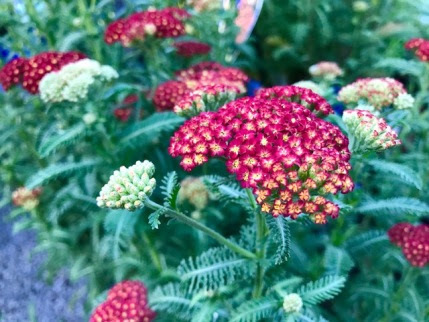 Achillea millefolium (fernleaf yarrow) comes in a wide range of colors and really pops in bouquets. GROW MORE CUT FLOWERS THIS YEAR! 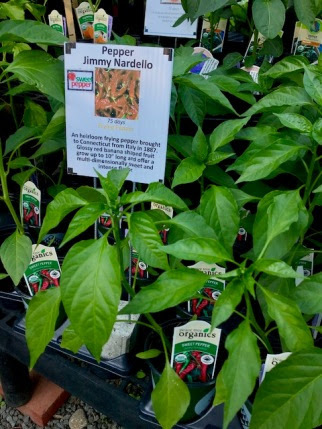 think you don’t have room for a few more tomatoes, peppers, eggplants, or tomatillos, why not consider planting them in with your flowers? 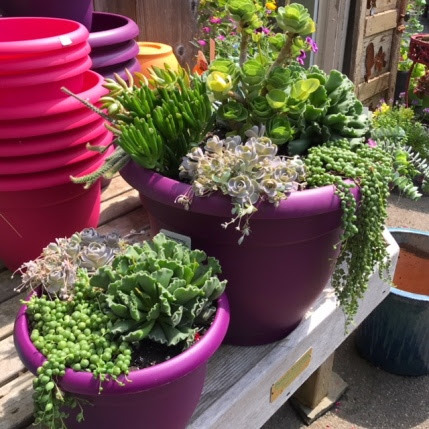 Or, pick up a Smart Pot and fill it with our high quality, organic potting soil and compost. Good soil is an investment. I leave it in my Smart Pots and containers year round. When I go to replant, I scoop the top few inches out and add fresh compost and fertilizer. I haven’t planted my cucumber and squash seeds yet. I guess that will be my first project next weekend. I always plant in June, when the soil has warmed up. I do a second sowing of cucumbers a few weeks later to keep them coming all summer long. I also will be sowing zinnias, more Nigella, sunflowers, and more Nasturtium seeds throughout the beds this week. We keep our seed racks fully stocked and have all the seeds you need for this time of year. Click Here to watch last week’s Facebook Live video on sowing seeds in June. Just KEEP ON SOWING SEEDS! Smart Pots rock! Check out my potato crop on the south side of my yard. These same Smart Pots were used to grow peas and lettuce followed by cucumbers last year. The year before I planted them with tomatoes. 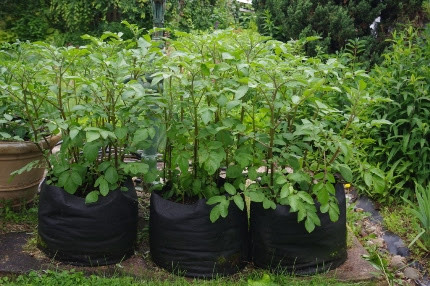 I use the same pots and soil, removing the top few inches and adding compost and organic fertilizer each time I plant. These are left out and filled with our high quality soil all year round. Have you been inside the shop lately? 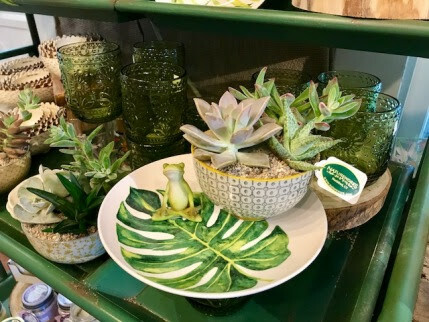 My staff has totally rearranged and restocked with the cutest gifts, macrame hangers, succulents, and monarch raising supplies. Speaking of monarchs, we are offering two more training sessions on Raising Monarchs- see the Calendar of Events below for the details. 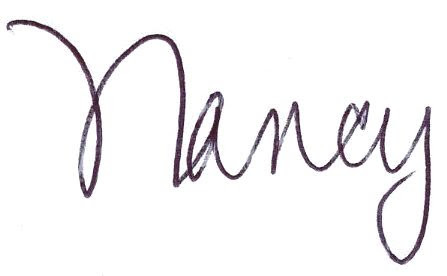 The class last Sunday was full, with a waiting list, so register NOW to reserve your spot. 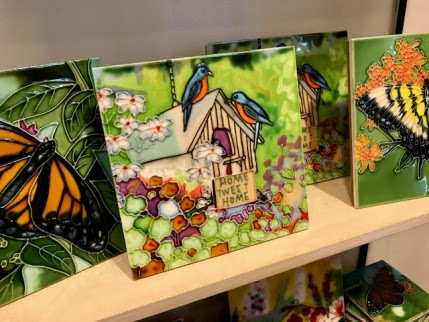 Check out these cute gifts that just arrived in the shop this week! Make some time in your busy life to come and enjoy the beauty of our garden center this week. June is busting out all over and Natureworks has never looked so pretty. Share the love and bring a friend with you to shop. Mother Nature is cooperating quite nicely right now, let’s take full advantage of these nice days and truly enjoy our gardens. Succulent pots are a genius idea if you don’t have time to water. We’ve got them!